Welsh Corgi is among dogs with the highest shedding and this is something that is well recognized among the dog community. Corgi existing or potential owners need to be aware of this fact so that they are fully prepared of what they should expect and take all the necessary measures to at least control their Corgi’s shedding. If you are not comfortable with fur on your carpet, your new couch, your expensive clothes or virtually anywhere inside your house, then you might have to reconsider getting a Welsh Corgi. However, with frequent grooming, proper diet with exercise and proper cleaning of your dog, the shedding will not pose any problem. This is also something that we will dig into later within this article. Between the two distinct breeds of Welsh Corgis, the Cardigan Welsh Corgi and the Pembroke Welsh Corgi, there is no difference in terms of shedding. Shedding is natural and all mammals do so. It’s a result of growth and regeneration of hair. However, there are certain animals that shed relatively more than others. Welsh Corgis fall within this category of heavy shedding animals and their double coat is to be blamed. In particular, Corgi’s double coat consists of the inner short insulated coat and the longer outer coat. 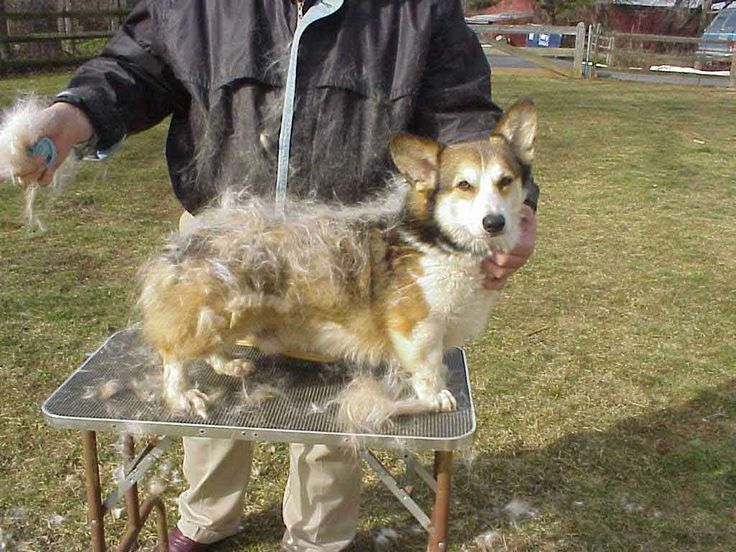 Corgi’s fur grows randomly across their body which consequently results in random shedding. No matter the season, your Corgi will have the double coat. There are a few owners that are worried with Corgi shedding and they are afraid that their dog will eventually lose all of its hair which is certainly not the case. Corgi’s natural hair growth cycle adapts to various seasons. During the winter, the inner coat serves a very important role since it’s insulated and water resistant. These two characteristics of the coat protect the dog from excessive cold. Therefore, the inner coat will be more developed than the outer coat during the cold months. This is the reason why the dense inner coat is shed during the spring months, and the longer fluffy outer coat grows more since Corgi’s body adapts accordingly for the summer period. Subsequently, the outer coat is shed during autumn and the regrowth of the inner coat begins in order to prepare for the coming winter again. Because of the season change, Corgis heavily shed twice a year, once during spring and the other in autumn which is also the common shedding pattern. However, if the seasons are not very well defined throughout the year, such as in very warm or very cold places, there is a high chance that you might not notice Corgis shedding twice a year. Nevertheless, you should expect that all Corgis shed lightly all year round and few Corgis may even shed in daily basis. There are some additional factors that affect Corgi shedding. It is very important to take all these into consideration in order to live with your Corgi harmoniously. The first factor is poor nutrition. Just like in humans where poor nutrition is noticeable from the health of our skin, same thing happens for dogs. Welsh Corgis that are not fed quality dog food containing all the vital nutrients that a dog needs, may experience excessive shedding and consequently there is a high chance that your Corgi may look unhealthy. Well-fed Corgis will have very smooth and glowing coats. Poor grooming may also result in noticeably high Corgi shedding. It is advisable that you always groom your Corgi as much as you can. Even if you do some quick brushing of the fur each day, this might be more than enough. Furthermore, good grooming is a good way to get rid of the fur that was about to fall off which would otherwise end up on the floor of your house. Apart from grooming, bathing your dog more than once per month, it can make a lot of difference. Hormonal change is another factor that leads to increased Corgi shedding. This might be the only thing that you might not be able to control. Some Corgis will shed relatively more when they are ill. If you notice your Corgi shedding at a higher rate than they usually do, a visit to the vet is recommended in order to rule out any illness. Stress may be an important factor that contributes to increased Corgi shedding. Corgis may get stressed because of a lifestyle or environmental change (it is might also depend on your Corgi’s personality) or for any other reason. It would be a good idea to look out at anything that might be stressing your Corgi and prevent the excessive shedding or even any other illness. Managing and Controlling Your Corgi Shedding. 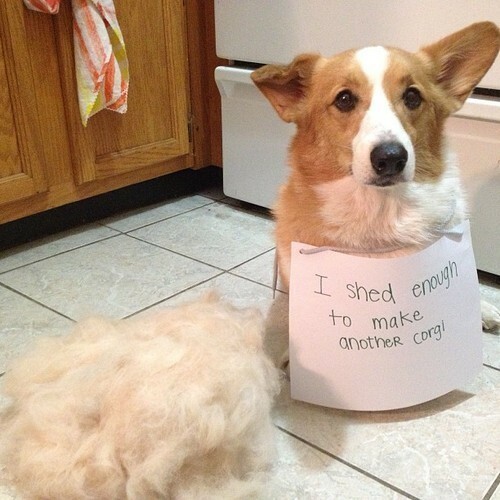 There is no need to be concerned about owning a Corgi or get overwhelmed with the shedding. All you need to do is follow a few tips and you can easily get the shedding under control. The goal is to manage Corgi to shed at your desired times rather than trying to eliminate the shedding, since this is something impossible. Otherwise you might find yourself spending a lot of money on vacuum bags and lint rollers due to all the fur in your home. Certainly, nobody likes all the fur that might even get to your clothes or inside your food. This is why it is highly suggested to have a curved wire slicker brush, dog shampoo and quality dog food. The first step to shedding happiness is to make sure that you brush your Corgi every day. Just like we take care of our bodies every day, our dogs need equal attention. When brushing your Corgi, try to follow the direction of the hair growth. This means that you need to take into account the random hair growth direction of Corgi’s fair across their body. Brush the hair in an outwards motion from the body. Fur that would have otherwise packed around the body especially around the inner coat and fall off inside the house, it is easily removed by light daily brushing. This sort of maintenance has also the benefit of spotting any problem with Corgi’s coat at an early stage since most dog illnesses have an effect on the coat. Remember to use the curved wire slicker brush for best results. 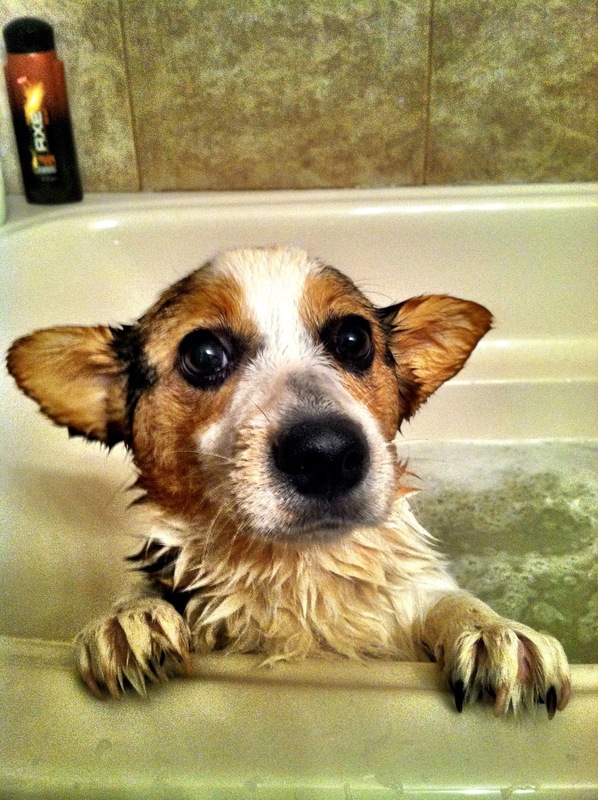 Another important thing to take into consideration is to bathe your Corgi once a week. Use mild dog shampoo and warm water. This helps loosen the dead hair and get rid of it. When washing your Corgi, brush it well to remove all the dead hair. Be careful with the temperature of the water because it should not be very hot as this easily burn your Corgi and ultimately make it fear of water. Corgi’s good nutrition is essential to control your Corgi shedding a lot. 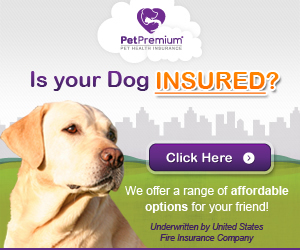 High quality dog food combined with dog supplements is vital for your dog’s health which also manifests in its coat. It is very easy to tell of a poorly fed dog only but the looks of its coat. Since Corgis are good eaters, you won’t face any problem feeding it. Fish oil and Omega 3 supplements are particularly valuable for a good coat. We recommend the below de-shedding pills which could help your Corgi shed less and they are available on Amazon. One last thing to keep in mind is to have your Corgi regularly checked by a vet to prevent any problem. If you notice any shedding that seems out of the ordinary, it might be a good idea to pay a visit to the vet and check if there is any problem. Still on this point, it’s important to note that spayed or neutered Corgis shed less as they tend to have less hormonal changes. With these few maintenance tips, you should easily get your Corgi shedding under control. Remember that the more hair you get rid of via grooming throughout the day, the less fur your Corgi dumps around the house.